LONDON -- An Islamic extremist preacher who managed to stay just on the right side of British law for decades while touting sharia law as the future for the U.K. and encouraging young Muslims to wage jihad, was sentenced Tuesday to more than five years in prison for his actions. Preacher Anjem Choudary, 49, and one of his adherents, 33-year-old Mohammed Mizanur Rahman were both found guilty on July 28 of inviting support for ISIS, a designated terrorist organization. The verdicts were only announced in August due to rules imposed by the court. Choudary was handed a five year, six month sentence on Tuesday by a London court. He had faced a maximum 10 year sentence. Rahman received the same sentence. It was not immediately clear whether either man would seek to appeal the sentence, as permitted under British law. Choudary and Rahman’s pledge of allegiance to the terror group’s self-declared “caliphate,” or Islamic state, and its leader Abu Bakr al-Baghdadi in 2014 was a “turning point for the police” that enabled officers to act. London’s Metropolitan Police said in a statement in July that Choudary and Rahman were caught giving the pledge of allegiance to another know terrorist “via Skype, text and phone” during dinner at a restaurant in London. “Choudary and Rahman are believed to have been recruiters and radicalisers for over 20 years and have been closely associated with another proscribed organisation Al Muhajiroun (ALM). ALM is believed to be the driving force behind a number of people who later committed terrorist attacks including the 7/7 bombers and Lee Rigby’s murderers,” the police said. Choudary has been pick up by police on many occasions in recent decades, but in addition to being an expert in the tenets of sharia law, he’s also well-versed in Britain’s laws on free speech and incitement. 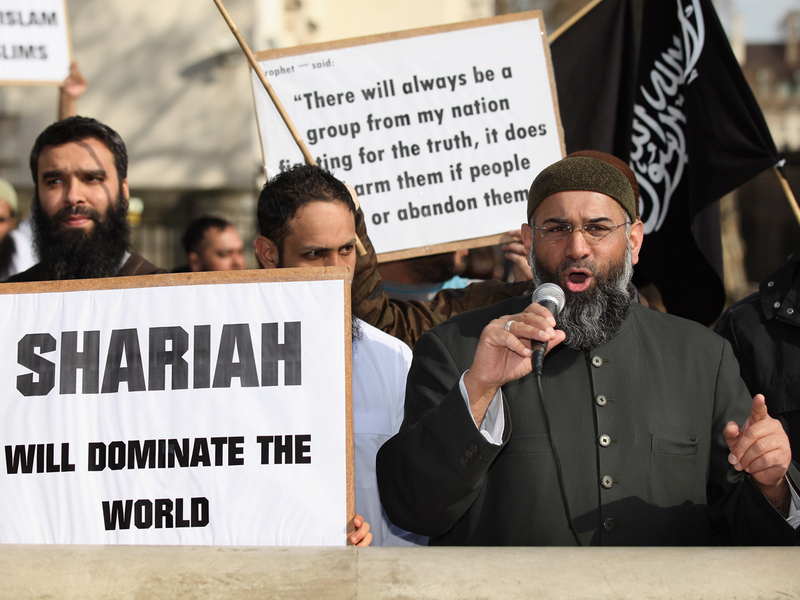 Choudary is a familiar face to Britons, who have seen him at the front of pro-sharia law demonstrations and heard his extremist rhetoric in news video for years. ”60 Minutes” interviewed him and one of his young followers in 2014 for an in-depth look at the efforts to legitimize and recruit for ISIS on the streets of Britain. He has always dismissed man-made laws and governments as illegitimate, and advocated for the implementation of sharia law across Europe and the wider world.